Wigan Casino opened its doors in 1973 for its first ever Northern Soul all-nighter, with Russ Winstanley as the DJ. Many of the classic pieces worn at the casino have been recreated for a new generation of Northern Soul fans. 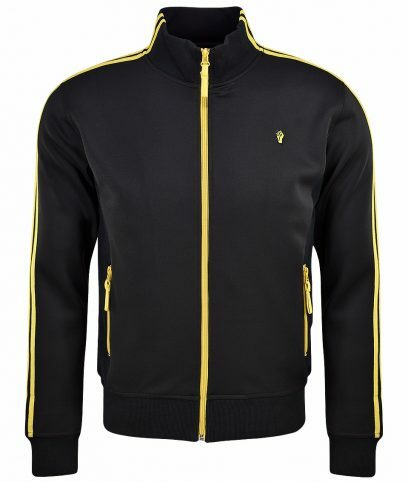 Several styles carry the instantly recognisable embroidered badges designed by Russ Winstanley in the 70’s (accept no imitations) and many styles are based on original 70’s pieces. 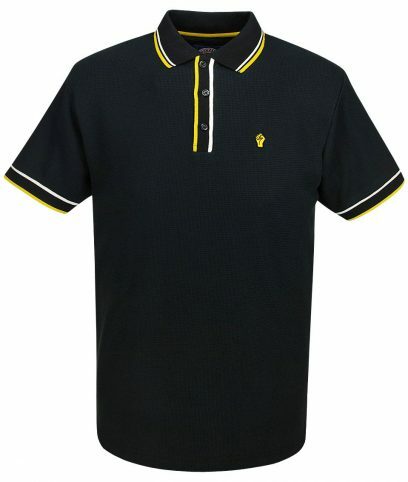 WC/2118 Polo shirt by Wigan Casino made from 100% cotton in a regular fit. Contrast old gold and white tipping on collar, placket and cuffs. Embroidered 'Fist' badge on left of chest and plain on back. WC/2082 Crew neck t-shirt by Wigan Casino made from 100% cotton in a regular fit. Old gold contrast stripes on collar and cuffs. Embroidered 'Fist' badge on left of chest and plain on back. WC/2082 Crew neck t-shirt by Wigan Casino made from 100% cotton in a regular fit. Old gold contrast stripes on collar and cuffs. Embroidered ‘Fist’ badge on left of chest and plain on back. WC/2087 Crew neck t-shirt by Wigan Casino made from 100% cotton in a regular fit. 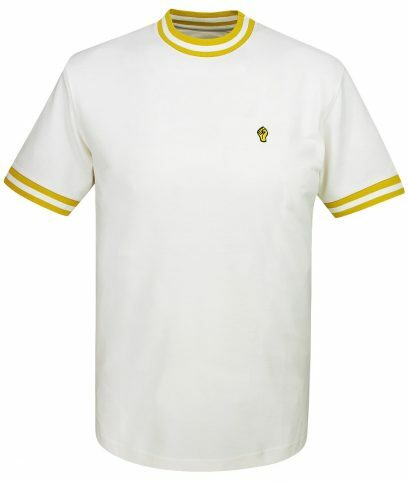 Northern soul old gold circle/fist logo motif on front with contrast collar and cuffs. Plain on back.